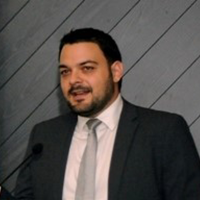 Michail Anthropelos is Assistant Professor of Mathematical Finance at the Department of Banking and Financial Management of the University of Piraeus. He has published in all leading academic journals in the field of Mathematical Finance such as Finance and Stochastics, Mathematical Finance, Annals of Applied Probability and the SIAM Journal of Financial Mathematics. He has been invited to present his research to several seminars and conferences. He also serves as a chairman of the investment committee for two occupational pension funds in Greece, and has provided a number of executive training courses on the topics of asset liability management and liability driven investment strategies. Dr Anthropelos holds a PhD in Mathematics from the University of Texas at Austin, an M.A. in Mathematical Finance from the Columbia University and a Ptychion (ranked first in his graduating class) in Statistics and Actuarial Science from the University of Piraeus.